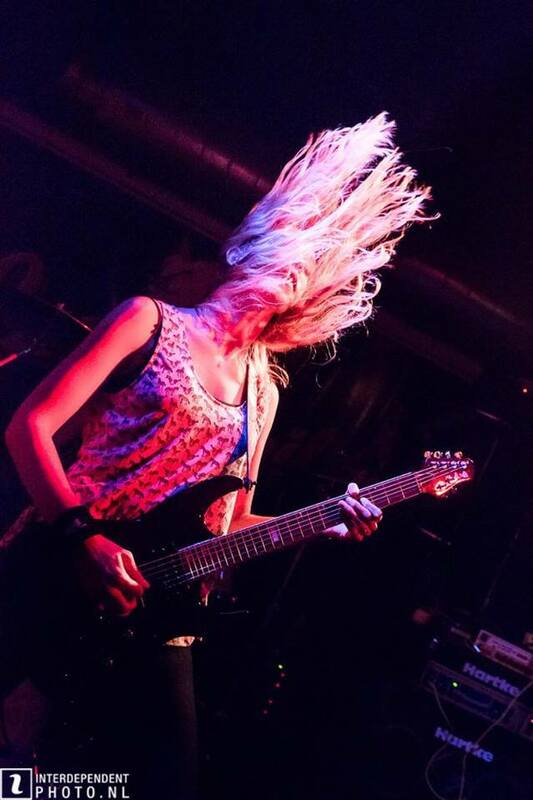 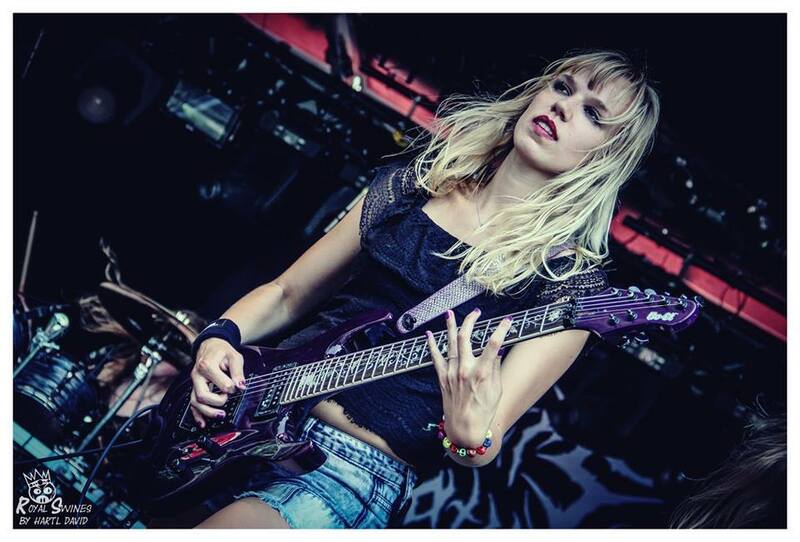 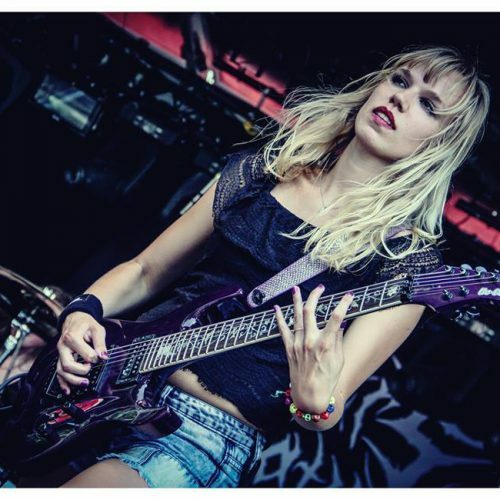 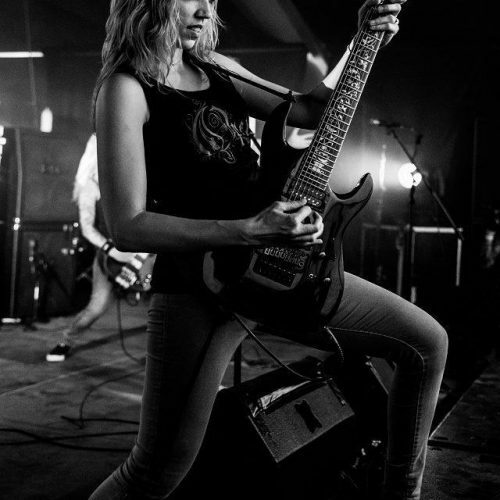 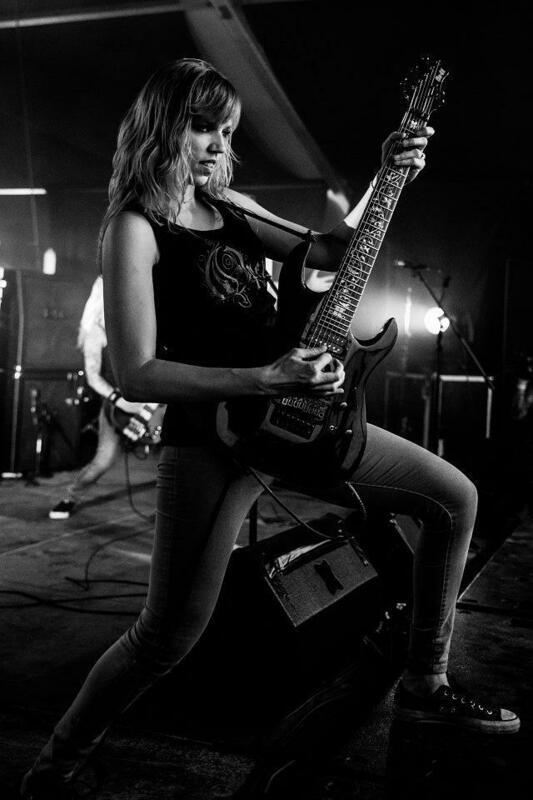 Simone van Straten originates from the Netherlands and is most known for playing with the renowned metal band ‘Sisters of Suffocation’. 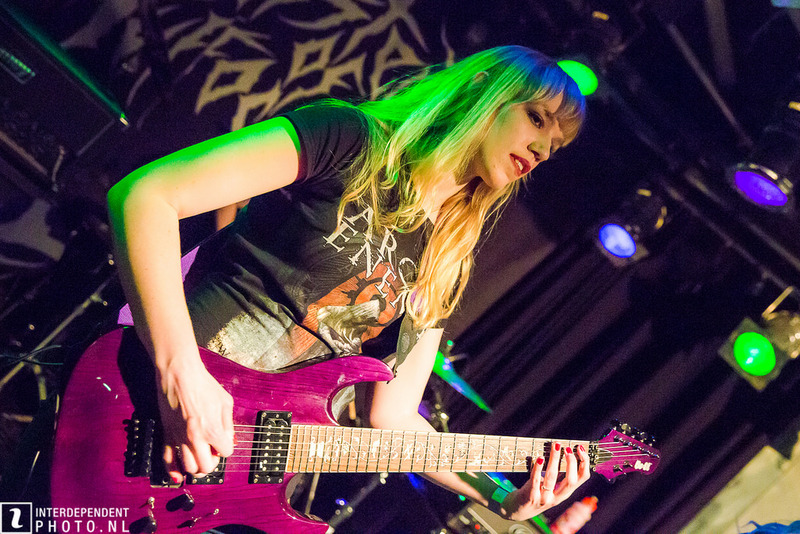 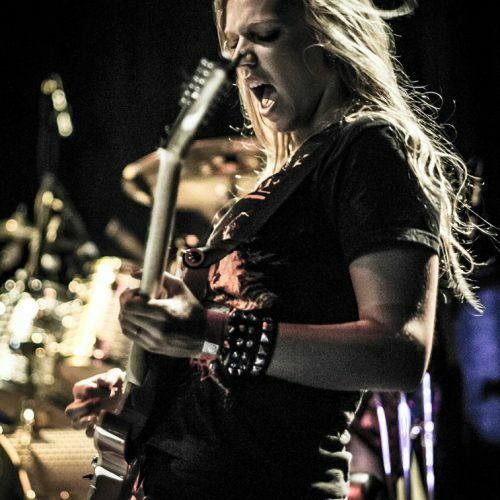 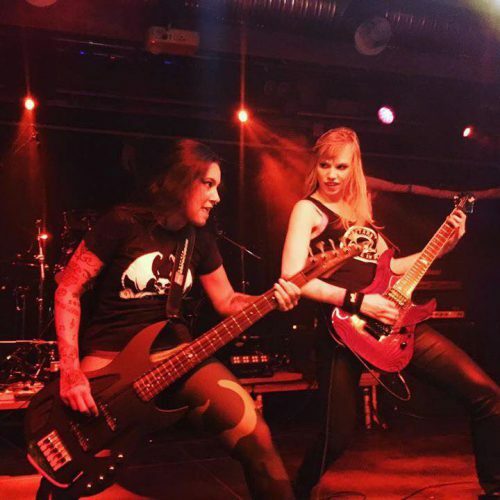 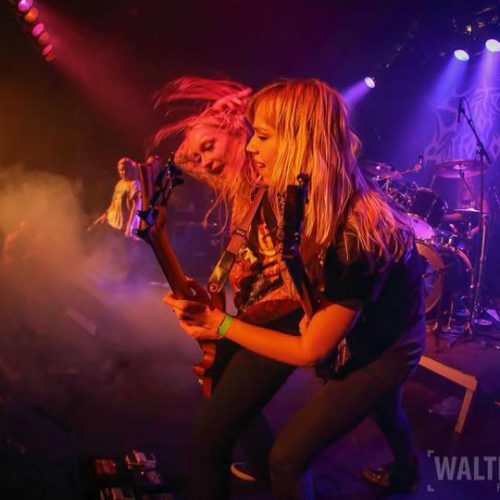 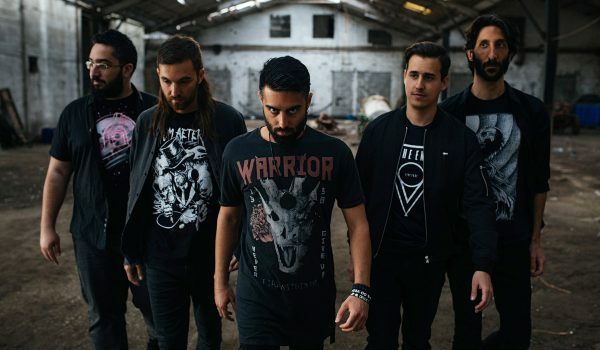 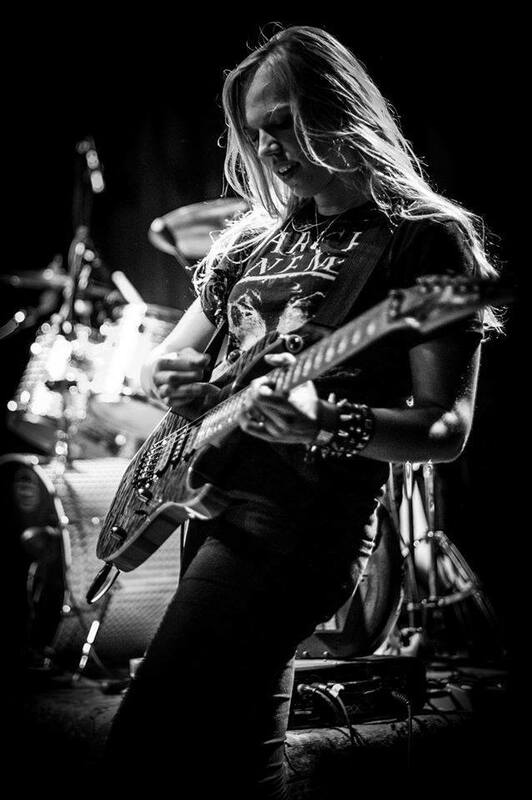 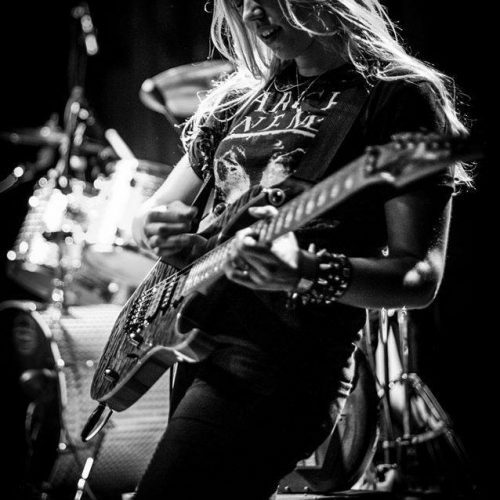 In 2016 Simone filled in on tour with the metal legends of ‘Nervosa’. 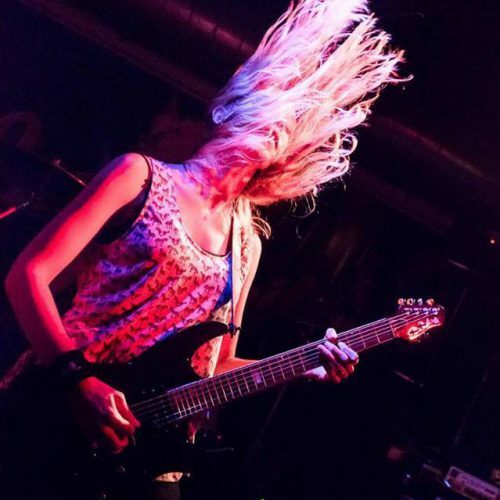 After already having opened for ‘Suffocation’ and going on tour with ‘The Charm the Fury’ the future is promising for this young guitarist and she is highly sought after as a session musician. 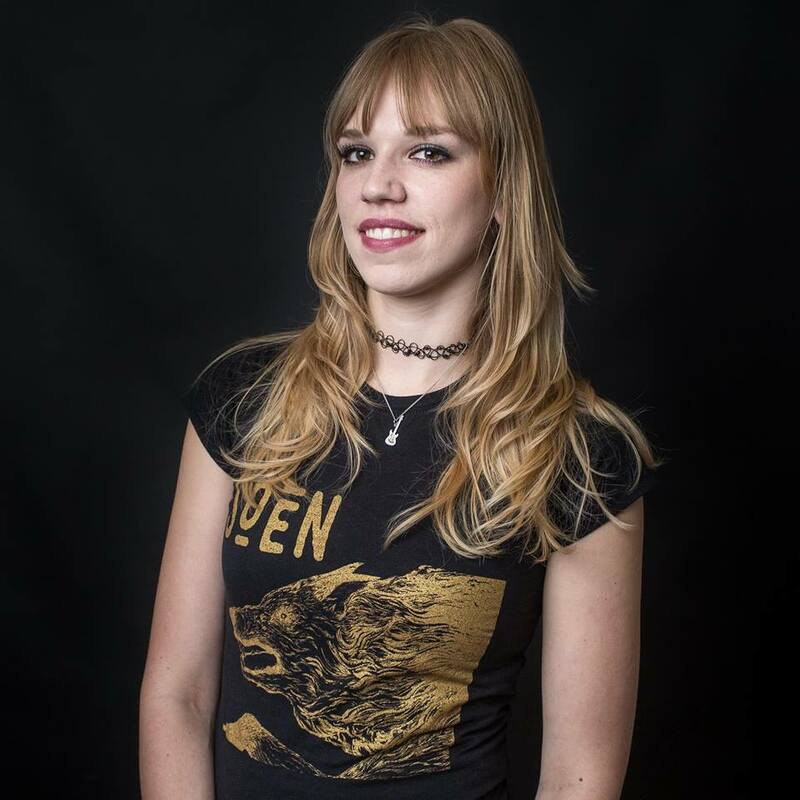 Simone studied at ‘Metal Factory’ in the Netherlands and successfully graduated in 2015. 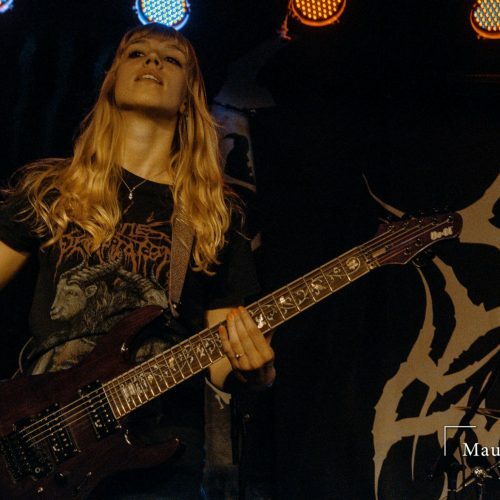 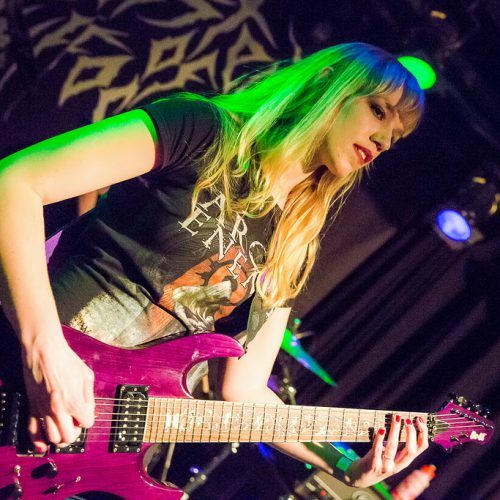 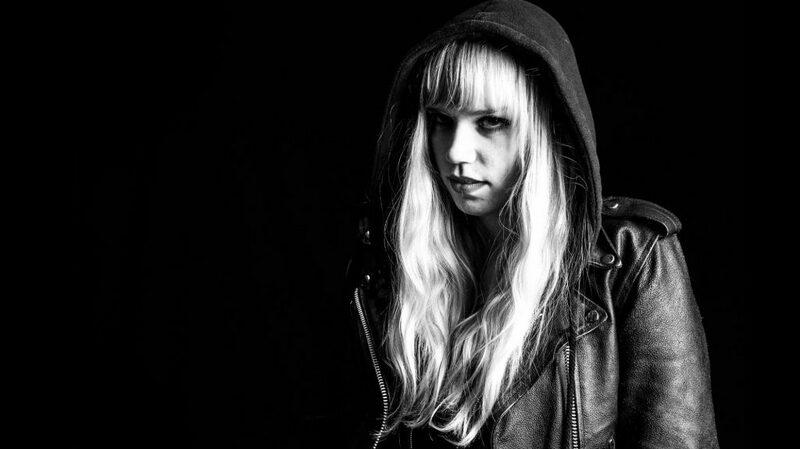 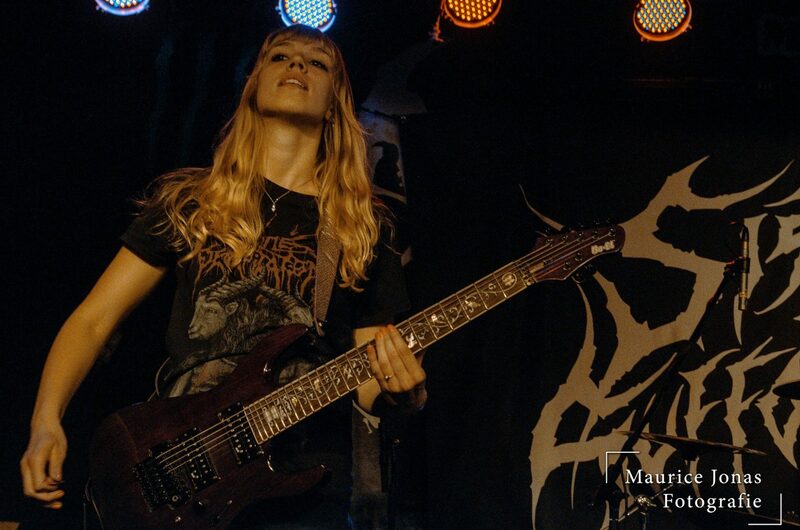 She is now a full time musician, playing both on stage with Sisters of Suffocation, as well as being a session musician and a guitar teacher at ‘MijnMuziekles’ in Eindhoven (NL). 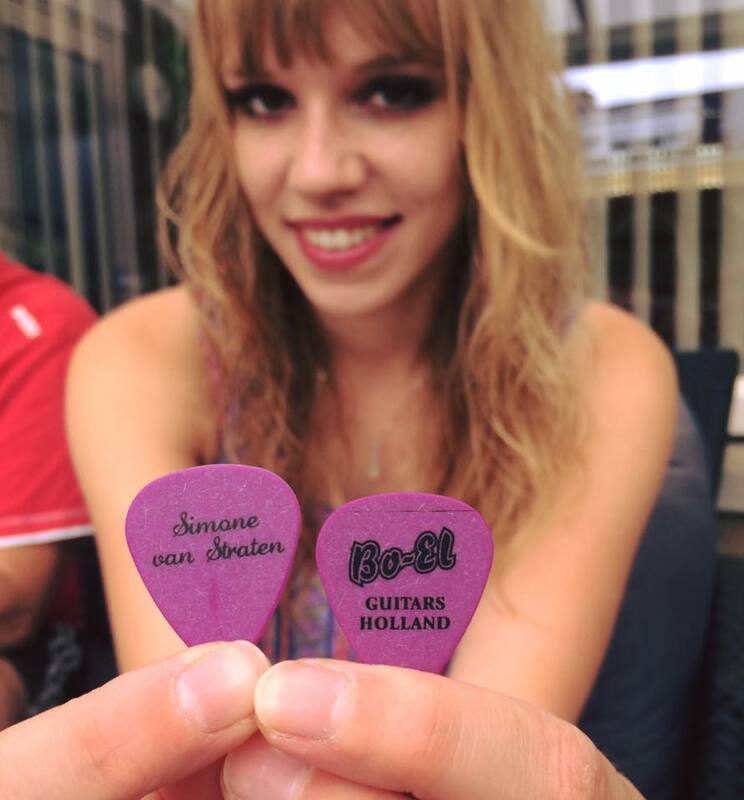 Her YouTube channel is close to reaching 2000 subscribers with views ranging up to 35.000+. Simone’s band Sisters of Suffocation is currently releasing their new album ‘Anthology of Curiosities’. 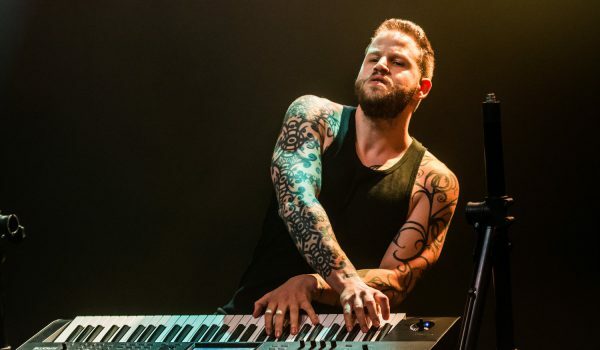 A noteworthy achievement for the band is that they have done two shows at ‘Zwarte Cross’ this year and 4 shows at ‘Lowlands Festival’ which are two of the biggest festivals in Europe. 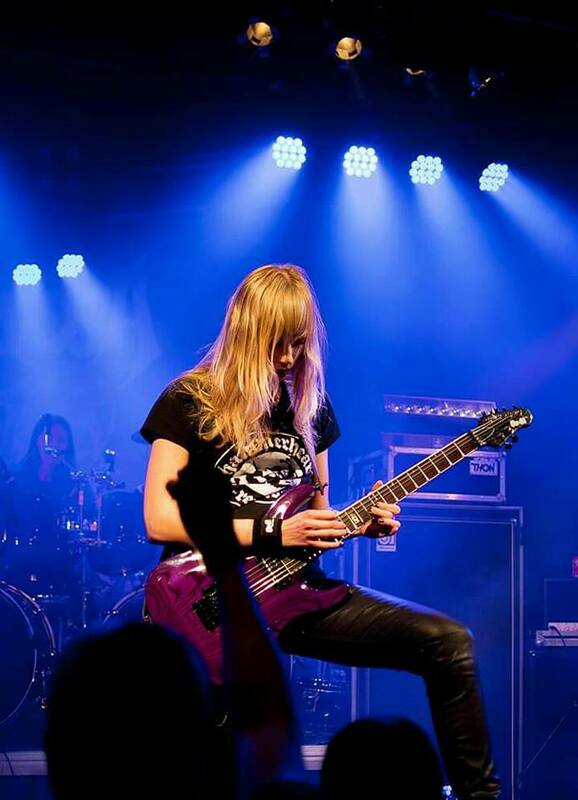 Some of Simone’s big influences are: Ola Englund, Bloodbath, Suffocation, Lamb Of God and Cattle Decapitation. 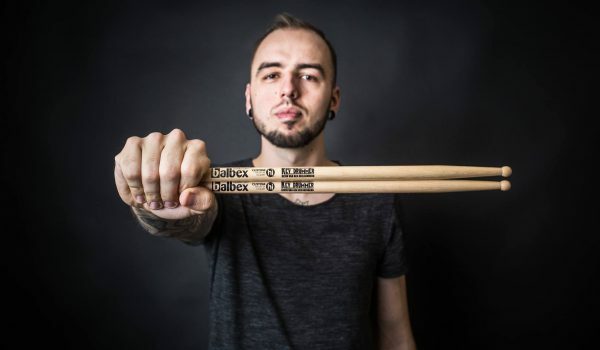 For more information about pricing for use the contact details down below! 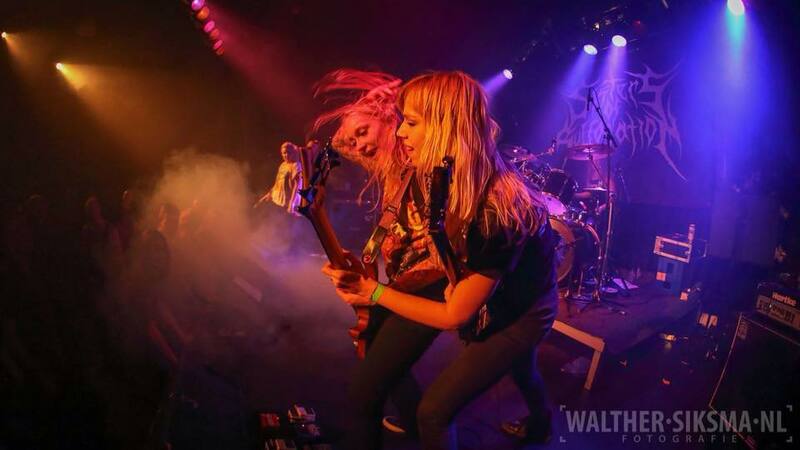 Please include your band name and social media platforms. 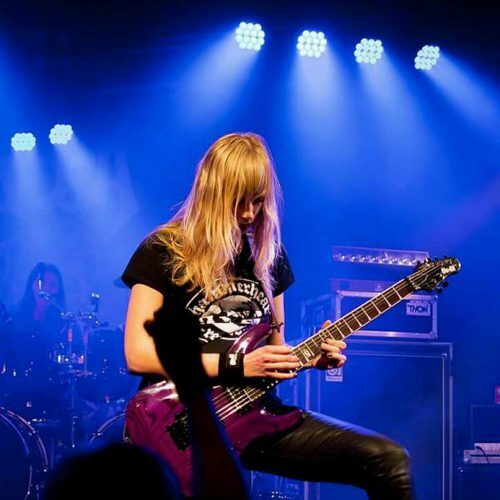 If possible, include song length, style and if you have any, examples or sound files. 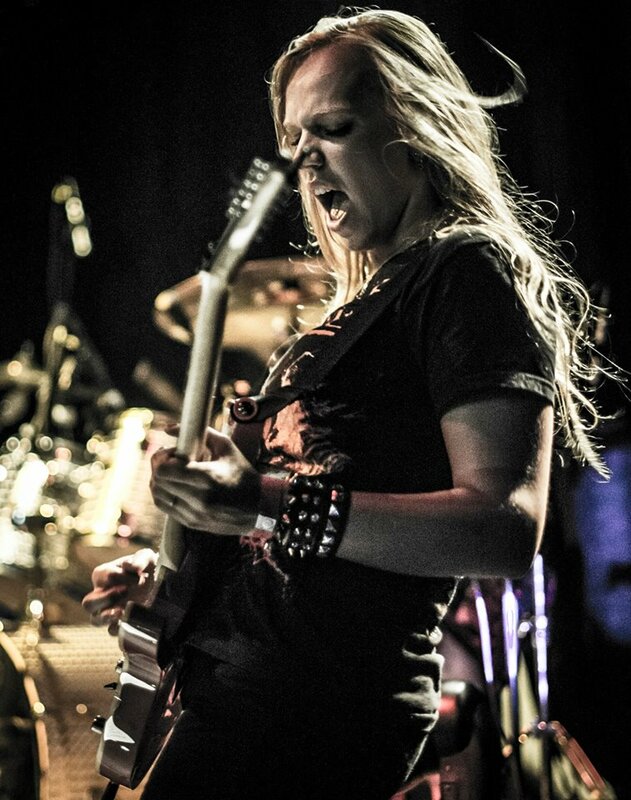 If it’s regarding a fill-in for touring, please also include dates.